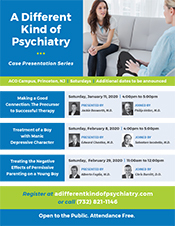 A Different Kind of Psychiatry: A Monthly Series of Therapy Storeis | ACO Campus, 4419 Route 27, Princeton NJ. Free to attend. The ACO is offering the public the opportunity to learn how medical orgone therapy makes a difference in treating a variety of emotional problems. Our ongoing series of clinical case presentations and discussions is held monthly at the ACO campus in Princeton, NJ. 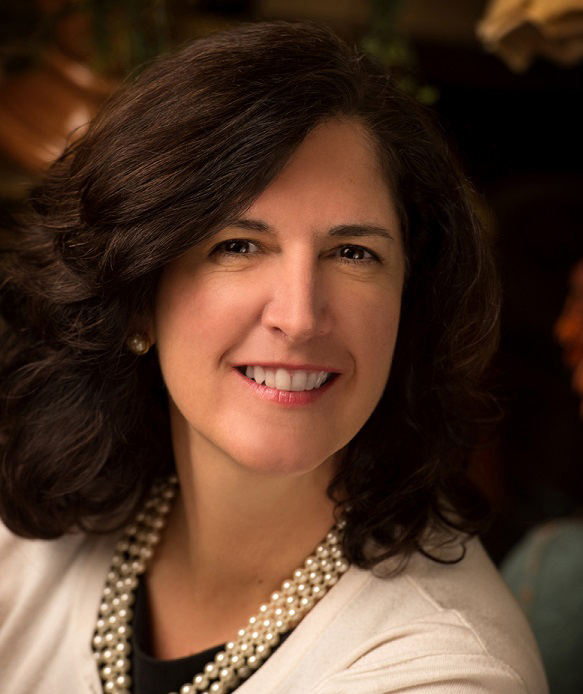 The next event in the series on Saturday, May 11, 2019 is “Right from the Start: Pregnancy, Birth and Emotion" by Susan Marcel, D.O. Joining Dr. Marcel will be Chris Burritt, D.O. The series is free to attend. Seating is limited and advance registration is recommended. Call (732) 821-1144 or register online below. Read the US1 March 28, 2019 article about the series - “Ride the Emotional Rollercoaster"
"Right from the Start: Pregnancy, Birth and Emotion"
Presented by Susan Marcel, D.O. | Joined by Chris Burritt, D.O. 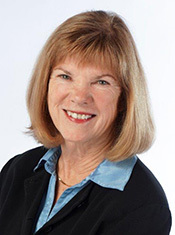 On Mother's Day weekend, Saturday, May 11, from 11 a.m. to noon at the ACO Campus in Princeton, NJ, Dr. Susan Marcel will tell you about Anne, a patient who came to her for a second opinion after her previous psychiatrist gave her the devastating news that she could never have children. He had warned Anne that her anti-depressant medications could potentially cause birth defects. After several years of working with Dr. Marcel in psychotherapy, Anne was better able to manage her emotions and developed some stability. She and Dr. Marcel decided that she could be weaned from most of her medications and changed to one safe enough for her to consider getting pregnant. Find out what happened with Anne at Dr. Marcel's presentation, "Right from the Start: Pregnancy, Birth and Emotion," about the vital importance of the emotional care of pregnant women, infants, and expectant fathers during the prenatal, birthing and postnatal experiences. Dr. Marcel will also address the ways midwives and obstetricians handle their emotionally difficult work environment. Dr. Chris Burritt will join her as discussant and will share his experience both as a psychiatrist and new father. The series is free to attend. Seating is limited and advance registration is recommended. Call (732) 821-1144, email the ACO or register online. 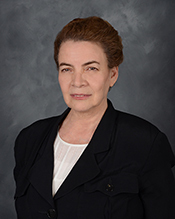 "The Importance of Parental Support in the Treatment of a Child"
Presented by Virginia Whitener, Ph.D. | Joined by Alberto Foglia, M.D. The series is free to attend. Seating is limited and advance registration is recommended. Call (732) 821-1144 or email the ACO or register online. "A Child in Urgent Need of Limit-Setting"
Presented by Jackie Bosworth, M.D. | Joined by Susan Marcel, D.O. Opportunities rarely occur for learning and experiencing the art of natural scientific observation. The American College of Orgonomy offers its Half-Day Laboratory Course on “Bions: The Elemental Particles of Life” at our campus in Princeton, NJ on Saturday, June 1, 2019 from 9:00AM to 1:00PM. Our new half-day course with a focus on bions gives students a digestible portion of orgonomic knowledge on one of the subjects fundamental to all laboratory work in orgonomy. Wilhelm Reich discovered bions in the 1930’s during his observations about the development of amoebas. He observed that plant material in grass infusions broke down into tiny luminating globules that moved about freely. Reich called them bions. Heaps of them in disintegrating grass look texturally similar to the protoplasm in protozoa. In fact, he discovered that bionous disintegration of grass and other material can spontaneously develop into protozoa. This was a bombshell in biology that had rejected the idea of spontaneous generation and adopted the dogma that every living cell must come from another cell. Defined functionally rather than materially, a bion is a tiny blob of energy in a fluid filled sac surrounded by a membrane. They can result from any matter made to swell and break down in fluid: from sand, coal, iron, earth, and living tissue. They seem to be an intermediate stage between the living and the non-living. In The Cancer Biopathy, Reich stated, “The bion is the elemental functioning unit of all living matter.” As such, bions represent the elemental particle of life from bios- life + -on elemental particle as in electron, proton, neutron, etc. Reich later discovered some forms of bions that can be cultured. These have implications for medicine in the way they can paralyze and kill bacteria or cancer cells brought near them. Rather than covering didactic material in lectures, the course will focus primarily on direct observation and hands-on work, with the students receiving instruction on laboratory and microscope technique. Students will make and observe various bion preparations, grass disintegration and protozoa, paying particular attention to size, shape, color, movement (pulsation) and their own subjective impressions. If you are interested in learning about the science of orgonomy and observing first-hand the orgonomic phenomena discovered by Dr. Wilhelm Reich, this course offers that unique and exciting opportunity. $175 adult, non-student. $75 full-time student (full-time students under the age of 30-years-old with a current valid student ID.) For more information and to request an application, call (732) 821-1144 or send an email to aco@orgonomy.org. April 13, 2019 - A Different Kind of Psychiatry: A Monthly Series of Therapy Stories | "Turning a Psychiatric Emergency Into an Opportunity for Positive Change"
Joined by Dee Apple, Ph.D..
Presenters Dee Apple, Ph.D. and Susan Marcel, D.O. 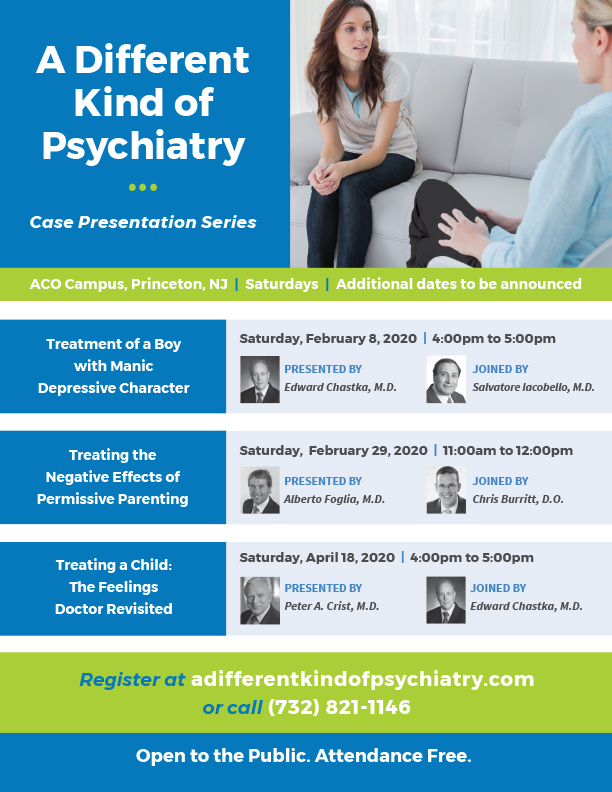 February 2, 2019 - A Different Kind of Psychiatry: A Monthly Series of Therapy Stories | "Treatment of Two Cases of Panic Attack Without the Use of Medication"
Joined by Salvatore Iacobello, M.D. January 19, 2019 - A Different Kind of Psychiatry: A Monthly Series of Therapy Stories | "Marijuana: Parents Matter"
Joined by Edward Chastka, M.D. December 15, 2018 - A Different Kind of Psychiatry: A Monthly Series of Therapy Stories | "Marijuana: Saying No"
Joined by Philip Heller, M.D. December 8, 2018 - Special West Coast Event: "Are You Satisfied with Your Work Life?" Presenter: Peter A. Crist, M.D. November 17, 2018 - A Different Kind of Psychiatry: A Monthly Series of Therapy Stories | "An Adolescent Comes Out of the Fog of Marijuana"
Joined by Dale Rosin, D.O. Presenters: Dee Apple, Ph.D., Edward Chastka, M.D. and Dale Rosin, D.O. Presenters: Peter A. Crist, M.D. and Susan Marcel, D.O. Presenters: Susan Marcel, D.O. & W.B. Apple, Ph.D.
February 3, 2018 - Special Event - All People Great and Small: Readings by Peter A. Crist, M.D. Presenters: Susan Marcel, D.O. & Alberto Foglia, M.D. October 7, 2017 - Legalized Pot: What are the Consequences? Presenters: Raymond Mero, D.O. & Susan Marcel, D.O. Presenters: Susan Marcel, D.O. & Jackie Bosworth, M.D. Presenters: Susan Marcel, D.O. & Raymond Mero, D.O. Presenters: Susan Marcel, D.O. & David Holbrook, M.D. October 3, 2015 - Social Orgonomy Presentation: What About Love? Presenters: Alberto Foglia, M.D. and Virginia Whitener, Ph.D. Hosts: Philip Heller, M.D. and Susan Marcel, D.O. Written By: Charles Konia, M.D. Hosts: Dee Apple, Ph.D. and Susan Marcel, D.O. Hosts: David Holbrook, M.D. and Susan Marcel, D.O. Presenters: Philip Heller, M.D. and Dale Rosin, D.O. Discussion Moderator: Peter A. Crist, M.D. May 18, 2014 - Small Group Discussion: Are You Satisfied with Your Work Relationships? April 5, 2014 - Social Orgonomy Presentation: Are You Satisfied with Your Work Relationships? Hosts : Peter Crist, M.D. and Susan Marcel, D.O. Presenters: Theodota Chasapi, M.D. and Susan Marcel, D.O. Hosts : Dee Apple, Ph.D. and Susan Marcel, D.O. Hosts : David Holbrook, M.D. and Susan Marcel, D.O. Presenters: Virginia Whitener, Ph.D., Dee Apple, Ph.D. and Peter Crist, M.D. Hosts : Susan Marcel, D.O. and Raymond Mero, D.O. February 2, 2013 - Social Orgonomy Presentation: Are You Satisfied with Your Work Life? Presenter: Richard Ryan, M.A. & Dee Apple, Ph.D.
May 25, 2011 - Social Orgonomy Presentation: A New View of Society & How We Relate: What is Social Orgonomy? April 2, 2011 - Social Orgonomy Presentation: Are Children's Books Just for Kids? Presenters: Edward Chastka, M.D. & Peter A. Crist, M.D. April 4, 2009 - Social Orgonomy Presentation: The Crippling of Infants: Swaddling and Other "Well-intentioned Assaults"
Presenter: Dr. Richard Schwartzman, D.O., with an introduction by Dee. Apple, Ph.D.
October 11, 2008 - Social Orgonomy Presentation: Repeat of Politics & The Emotional Plague: An Open Forum with Charles Konia, M.D. October 4, 2008 - Social Orgonomy Presentation: Politics & The Emotional Plague: An Open Forum with Charles Konia, M.D. Presenter: Dee Apple, Ph.D., Dr. Peter A. Crist, Virginia Whitener, Ph.D.